Around here, winter has been teasing us with hints of Spring to come. But I just can't wait! 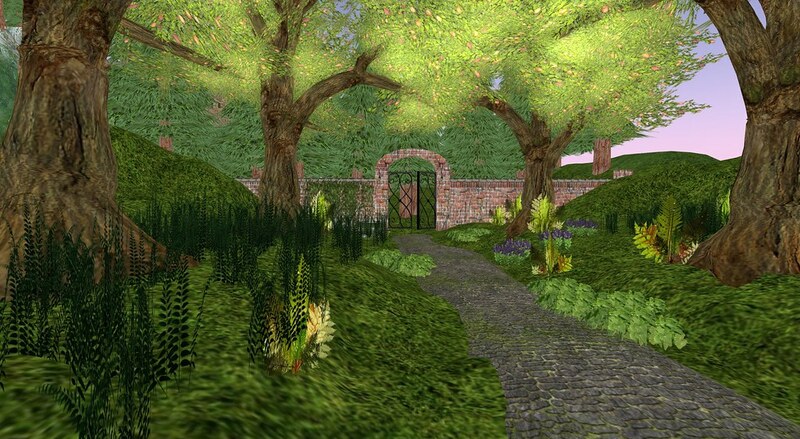 That's one of the things I love about virtual worlds like InWorldz. You can just go, find it! Whatever it is you're looking for, there's a good bet that some creative soul out there has already made it and is waiting for the intrepid explorer to come find and enjoy it. 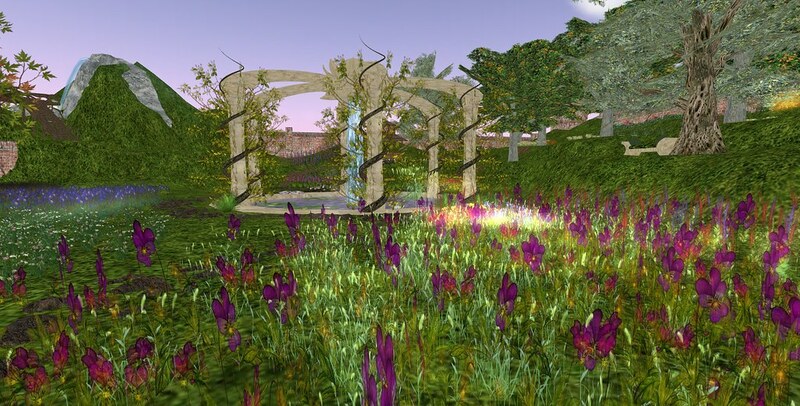 It's a peaceful place, filled with birdsong, the sound of trickling water, and gorgeous riots of flowers to entice you along the pathway. 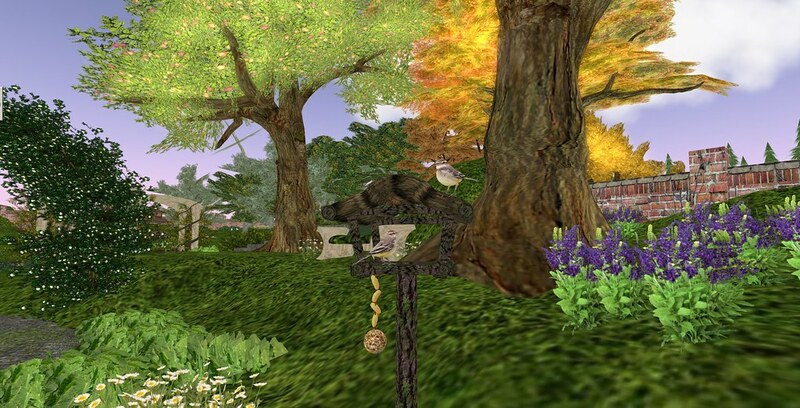 You might find yourself lured by the magical sound of harp song. Or the sound of wind dancing through the waterfall as you climb the hill for a better view. What's that I see in the distance... Castle Nether! Now that's something that begs to be explored another time! 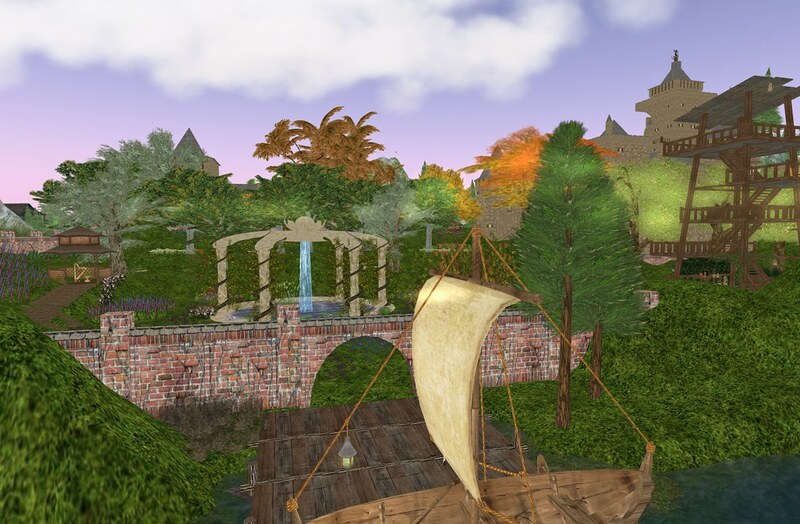 All this exploring can be tiring, so be sure to find a nice place by the gazebo pool to gaze into the waters and rest, or take a nap. Or find a new perspective of the beautiful surroundings. You might even spy a few wild bunny rabbits scampering over the hills. 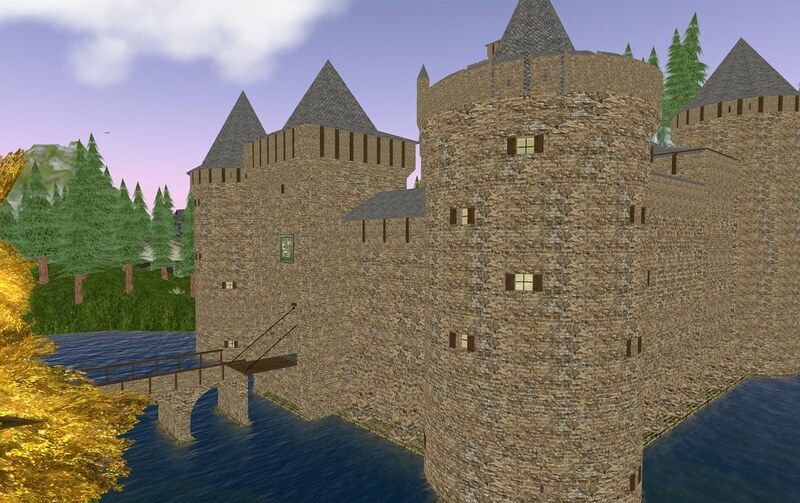 When you are done exploring, a boat waits upon the dock to carry you safely back home. I hope you have enjoyed our little adventure in search of Spring! I do believe we've found it! Be sure to send a little messenger bird off to Moontan to tell her how much you enjoyed her garden! 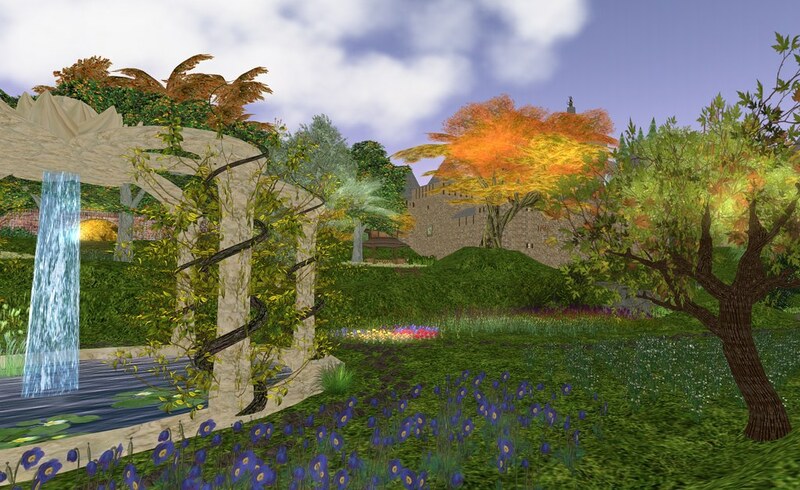 All styles and locations found in the virtual world of InWorldz. Beautiful pics! I'll so go back there, I loved it! Thanks Leanna! It was really wonderful stumbling on that place with you. Happy exploring!